Signing Day is patterned after the NCAA’s National Signing Day for athletes who are committing to play sports in college. However, instead of athletes, this event honors students who are entering a career/technical field of study, such as automotive technology, aviation maintenance technology, law enforcement, computer-aided drafting and heating, electric line repair, air conditioning and refrigeration technology. More than 150 incoming high school students will sign Letters of Intent at TCC Northwest and TCC South, signifying their commitment to entering CTE programs in upcoming semesters. 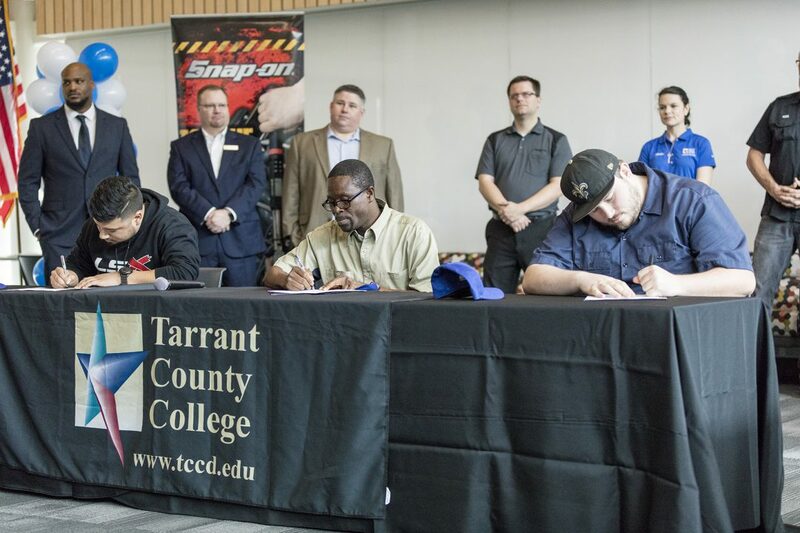 Corporate partners of TCC’s CTE Signing Day, including Daniels Manufacturing Corporation, will participate in the campuses’ events, showing support and providing information to students and their families. The events will be held 10 a.m. to noon. TCC Northwest (4801 Marine Creek Pkwy., Fort Worth) will hold its Signing Day ceremony in WSTU 1303-1305. TCC South (5301 Campus Dr., Fort Worth) will host its ceremony in the Center of Excellence for Energy Technology (CEET) Fusion Auditorium. The events will be streamed live and can be accessed on the TCCstream YouTube channel (live captioning available here). National CTE Letter of Intent Signing Day is sponsored by the National Coalition of Certification Centers (NC3).